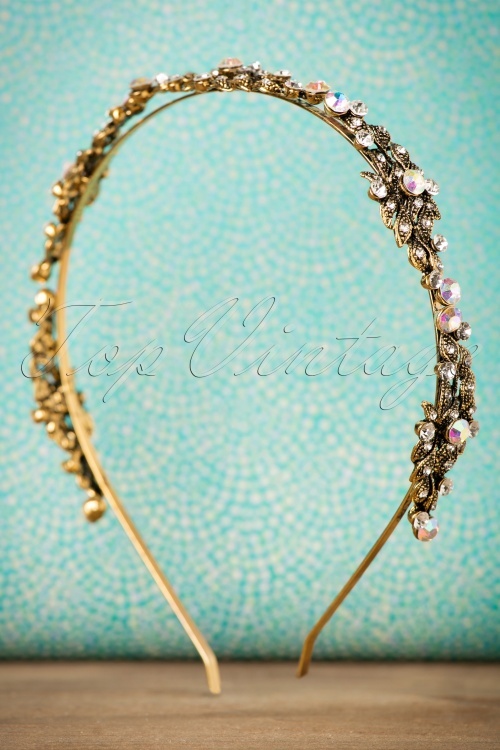 This 20s Tamara Crystal Leaves Hairband in Gold is an enchantingly beautiful, vintage inspired piece! Stay bold and accessorize with gold! 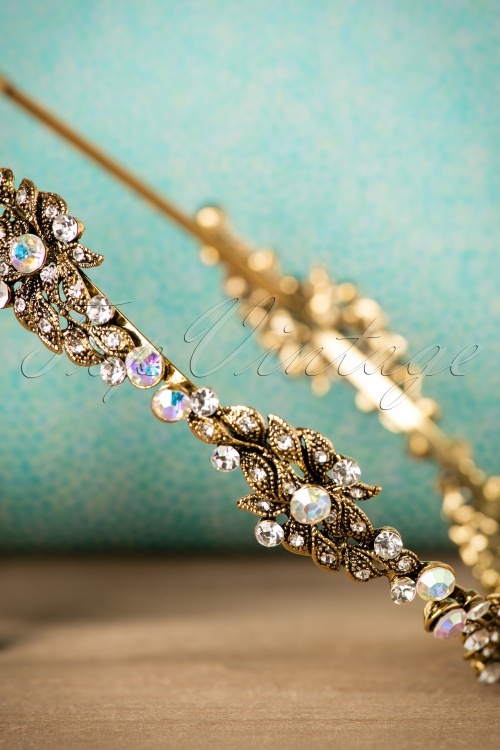 This gorgeous headband in antique gold toned metal features gorgeous amber crystals, shaped like elegant leaves! 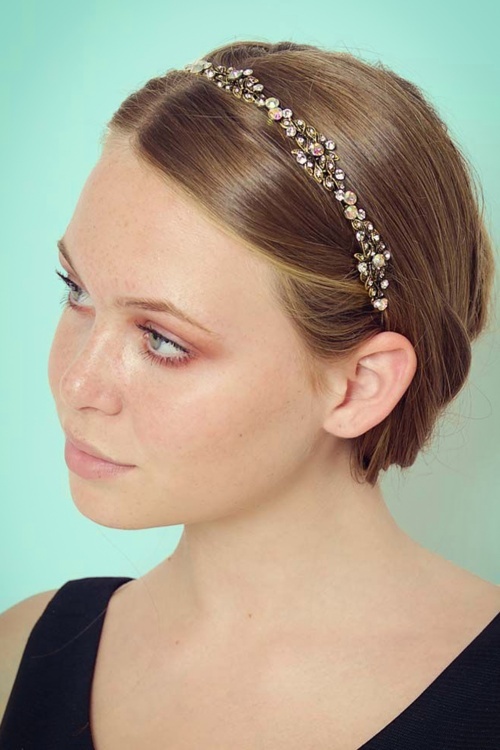 Create an enchanting hairstyle in an instant!